I finished scanning a 1965 Racine phone book and was going through the taverns, night clubs, etc. I ran across the Campus Lounge at 428 Wisconsin Avenue. Sounds interesting. The first thing I find on Newspaperarchive.com is this murder of a divorcee in 1965. 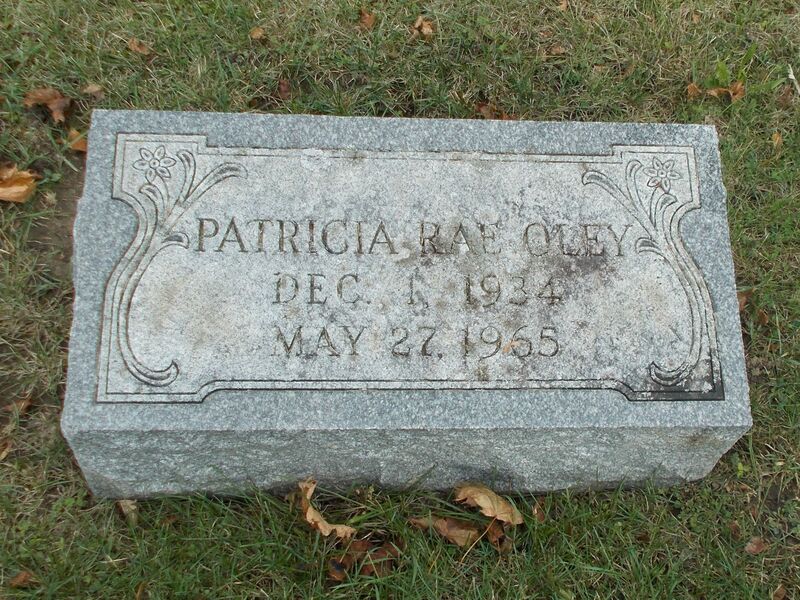 Patricia Ann Oley apparently left with a man named Jerry on Wednesday night, May 26, 1965. She was found beaten to death two days later. They give all sorts of details about her life. She was originally from Kenosha. She was divorced four years prior. She was on welfare. She had two children. She was living with her grandmother at 1701 Holmes Avenue. She had spent time in a mental institution. Apparently she was killed on a beach at the foot of Kewaunee Street (that would be North Beach) and then dumped carefully on 7 mile road. Years later, in 1970, she’s included with victims of Racine County killers. Patrons of the Campus Lounge [ed: 428 Wisconsin Ave.] who may have seen Mrs. Patricia Ann Oley in the early morning hours of Wednesday, May 26, are being asked to contact the Racine Police or Racine County Sheriff’s departments. The request was made by the Sheriff Joseph Blessinger, who supplied the new picture of Mrs. Oley published in today’s Journal-Times. The photo was taken in September, 1963. Blessinger said he hoped the picture would jog the memories of the persons who may have seen the 30-year-old murder victim after she left home about 9 p.m. May 25. 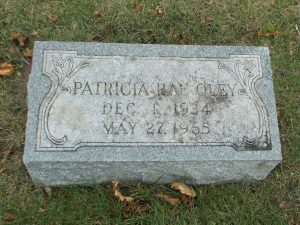 Mrs. Oley’s body was found in a shallow ditch alongside the 7 Mile Road near County Trunk V about 8 a.m. May 27. The last person known to have seen the woman was a man who said he saw Mrs. Oley walking at 7th and Main Sts. In the afternoon of the day before her body was found. The friend, Mrs. Joyce Lepow described “Jerry” to a commercial artist who prepared a sketch from the description which appeared in last Friday’s Journal-Times. Both the Sheriff’s Department and the Racine Police Department have received dozens of tips from area residents as the result of the sketch, and are investigating each one. Mrs. Lepow told authorities she was in the Campus Lounge from about 9:30 p.m. Tuesday, May 25, until about 1:30 Wednesday morning, May 26, Koetting said. Last week, the State Crime Laboratory in Madison reported that a sand sample taken from the foot of Kewaunee St. at the Racine lakefront was impregnated with human blood. The sand sample was sent to the Crime Lab last Tuesday afternoon shortly after it was discovered. The Crime Lab reported this week that the blood type found in the sand chunk is difficult to determine because of partial decomposition caused by contact with soil bacteria and other micro-organisms. They said they will identify the blood type, but the determination will require more time consuming techniques. They will report their findings in the near future, they said. Authorities believe the lakefront location may be the spot where Mrs. Olney was killed, but are seeking further corroboration through matching Mrs. Oley’s blood type with that found in the sand. Mrs. Oley’s shoes were found the day after her body was discovered alongside County Trunk C near Highway 45. Still missing, according to Sheriff Blessinger, are her large red plastic purse and her black denim trench coat.